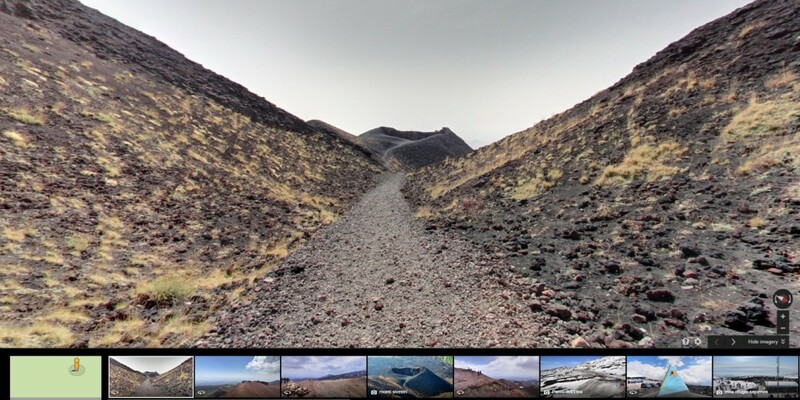 Having covered volcanic sites in Hawaii, Oregon, Arizona and Japan, Google’s Street View program now lets you take a closer look at Mount Etna, an active volcano in Sicily that’s also the highest one in all of Europe. Google launched the new views in celebration of Etna’s second anniversary of being included in the UNESCO World Heritage list. It’s captured stunning imagery from Crater Silvestri, about 2,000 meters above sea level as well as Crater Silvani, another 1,000 meters up. In addition, the Google Cultural Institute, in collaboration with Unioncamere and the Chamber of Commerce of Catania to present an online exhibition where you can learn about Mount Etna’s history and how basalt from the volcano shaped the region’s architectural heritage.